For the last 3 months a NDVI camera for assessing plant health works at Robledal de Cañar. The following video shows a timelapse video composed by 24 hours of recordings. Our NDVI camera has been built by our own. 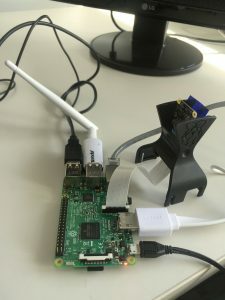 It’s composed by a Raspberry Pi + NoIR camera, which allows to capture near-infrared and blue light in the same image, but in different color channels. 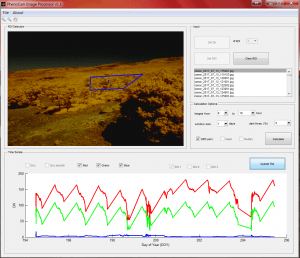 The NDVI camera works 24×7 in order to take and store pictures every 10 minutes. 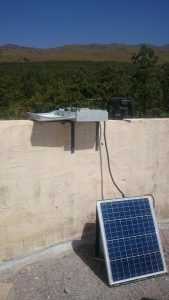 For that purpose, a solar powering system ensures its power supply. We then post-process the image to attempt to infer how much it is photosynthesizing. This allows us to better understand and quantify how much of the available light plants are metabolizing into sugar via photosynthesis.